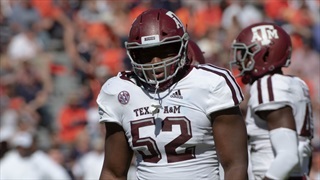 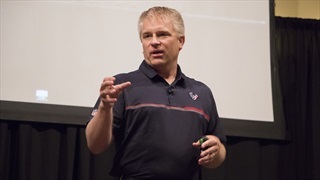 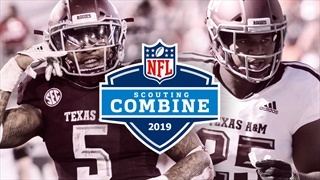 Harris: "I think Daylon Mack will be the first A&M defender drafted"
During Monday's edition of TexAgs Radio John Harris of the Houston Texans and FootballTakeover.com joined to share his thoughts on the Aggies' tough 2019 schedule and some of his observations from the Senior Bowl. 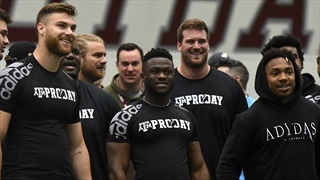 During Thursday's edition of TexAgs Radio Reese's Senior Bowl Executive Director Jim Nagy joined the show to talk about his first year on the job, Daylon Mack being an ascending player, and more. 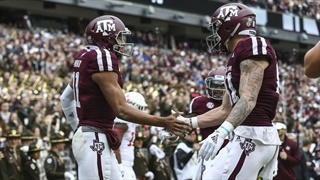 The Aggies are set to square off against the NC State Wolfpack on New Year's Eve in Jacksonville for the 2018 Gator Bowl. 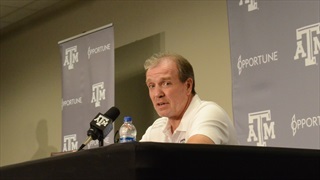 Today, Jimbo Fisher and select A&M players met with the media to preview the game. 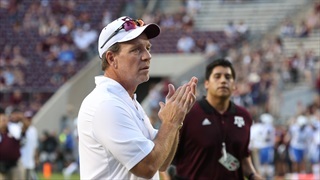 Jimbo Fisher has turned around the culture and attitude of Texas A&M's football program in just one season. 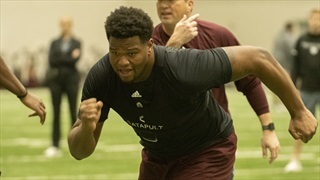 With a top tier recruit class coming next year under one of the best player developers in college football, the future is bright in Aggieland. 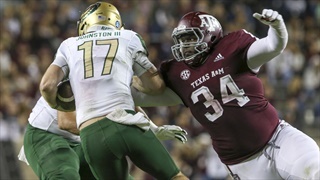 Texas A&M had few problems handling UAB last Saturday, winning 41-20. 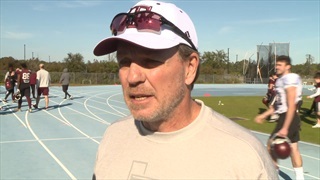 Jimbo Fisher and some of the players met with the media Monday to discuss the win and look ahead to their game against rival LSU on Saturday. 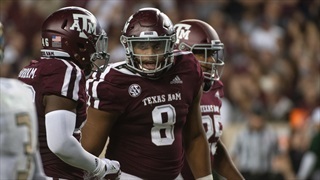 With just one conference game remaining for most SEC teams, players have nearly wrapped up their resumes to qualify for an All-SEC selection. 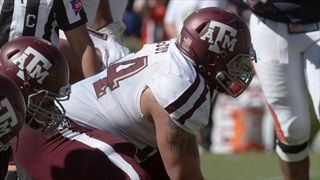 Ahead of the end of the season, Olin Buchanan shares who deserves first team honors. 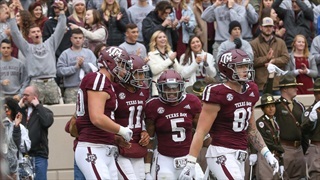 A&M defended Kyle last week against Ole Miss with a 38-24 win. 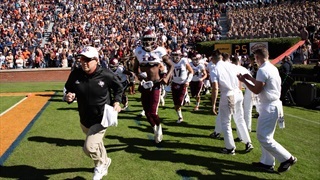 This week, on Senior night, the Aggies will look to halt a red hot UAB Blazer team ranked in the top 25 for the first time in 2004. 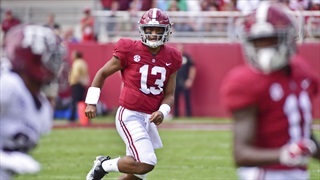 Billy Liucci gives his matchups to have your eye on come gameday. 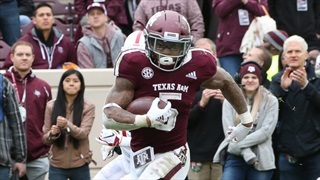 Trayveon Williams has already amassed 1,159 rushing yards this season, ranking eighth in A&M history in single-season rushing yards. 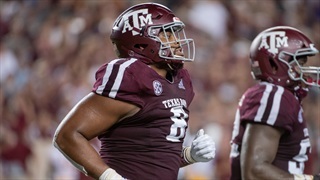 Williams still has three games to rise up the rankings, but with the way he's playing, after those three, his next game may be on Sunday. 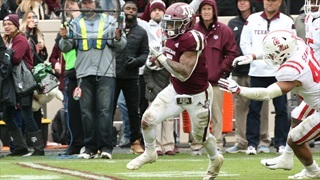 Texas A&M rebounded from their two game road skid with a 38-24 win over Ole Miss on Saturday. 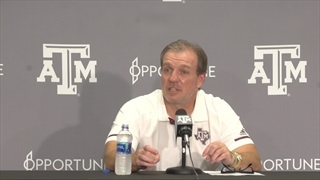 Jimbo Fisher and some of the players met with the media Monday to discuss the win and look ahead to a tough game against UAB on Senior night.